Cody Patrick is the co-founder and co-owner of Sweat440, the newest athletic training facility set to open in Miami Beach’s popular Sunset Harbour neighborhood. Patrick is a well-known wellness expert in South Florida and has more than 17 years of experience within the fitness industry – training some of Miami’s most prominent and influential figures.Sweat440 offers an all-new signature training program featuring small group fitness classes that incorporates four types of exercises in one session including, but not limited to: HIIT (high-intensity interval training), mobility training, and strength training. Each station is set to last 10 minutes long for a total 40-minute workout. 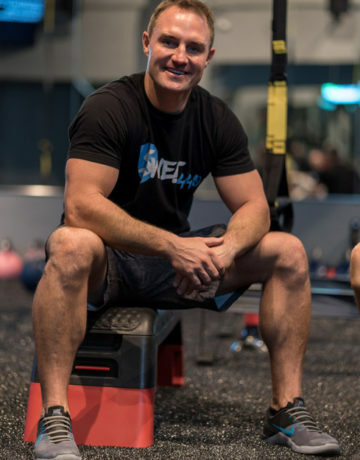 Prior to developing Sweat440 Patrick founded SHIFT Training in 2010, which currently encompasses a team of 25 professional trainers. Patrick has also established himself as a well-accomplished athlete, having completed the Ironman 140.2 in 2017. – Level 1 Myofascial Stretch Therapy and Ki-Hara Level 1.